Item # 317508 Stash Points: 3,195 (?) This is the number of points you get in The Zumiez Stash for purchasing this item. Stash points are redeemable for exclusive rewards only available to Zumiez Stash members. To redeem your points check out the rewards catalog on thestash.zumiez.com. Help your outfits come alive with chill, laidback vibes by rocking the Benji Waves White T-Shirt. 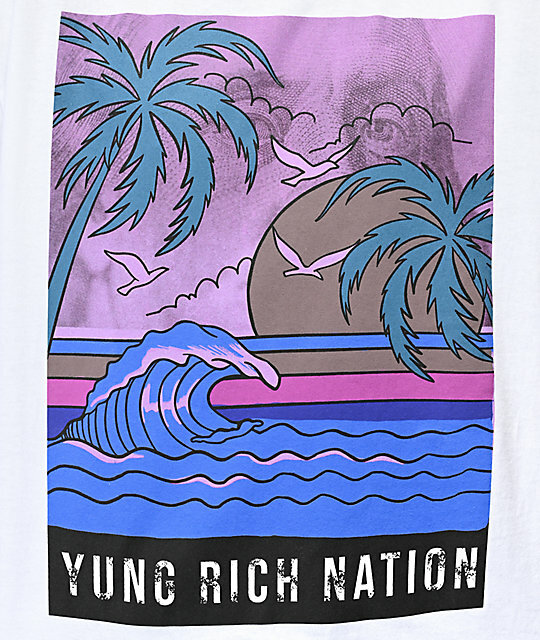 Across the front of this white, cotton constructed tee features a scenic graphic of the ocean waves, palm trees and signature Yung Rich Nation logo script below. 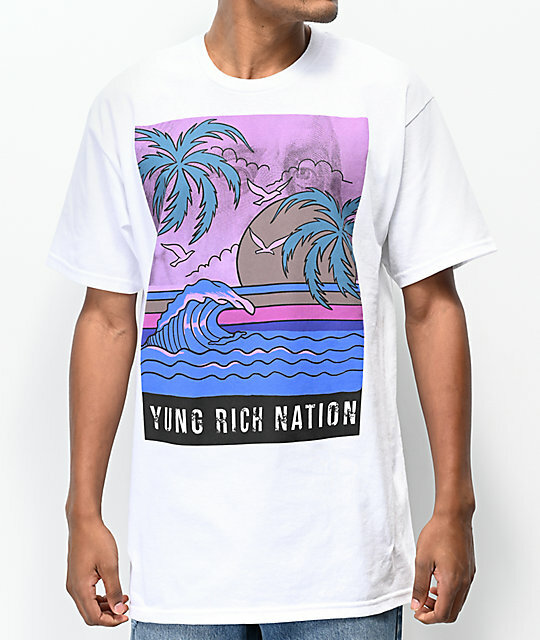 Benji Waves White T-Shirt from Yung Rich Nation. Screen-printed logo graphic on front. 32.5" (83cm) from the shoulder to the bottom hem.